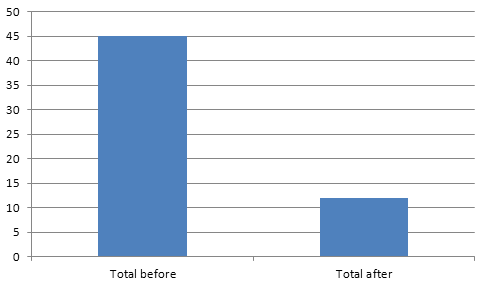 After we’ve added RSpec and Cucumber (with PhantomJS) to our CI build process, it got really, really slow. 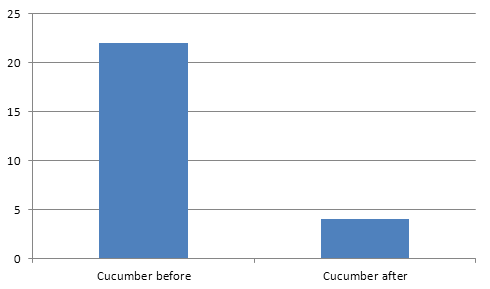 Due to the application character, after each scenario (for Cucumber) we truncate and restore the whole database. 45 minutes for a single build is definitely not what we aimed to get. So, how to speed up tests execution? First we thought, that we could run RSpec and Cucumber stuff in parallel (using parallel tests gem). We’ve got a much better machine on AWS to make sure that a single process has a single core to use. Unfortunately everything got… slower. We’ve decided to pinpoint a single RSpec spec and a single Cucumber scenario that would be representative and figure out what the hell. What we’ve discovered at the beginning, is that all the specs were running faster on the Ruby level. It all got significantly slower because of the database. Our tests were heavy in terms of DB communication and as I said before, due to it’s character, it will probably stay that way. So, what were our options? We’ve decided to try out the second approach and use fsync PostgreSQL flag to tweak this database a little bit. What is fsync (quote from PostgreSQL documentation)? Results were astonishing! Since we’re no longer as much dependent on our HDDs performance for each operation, the database layer does not slow us down that much. Overall thanks to this tweak and parallel execution, we’ve managed to get down from 45 minutes for a whole build, down to 12 minutes. That is 75% faster than before and this build time is acceptable for us. but it will fail when trying to invoke any App methods directly. That way you can get the “real” app instance (not a wrapper) that you can use as a subject in your specs. That way you can test your Sinatra app methods in isolation – without having to call a full request.